The styling in this room is just perfect. 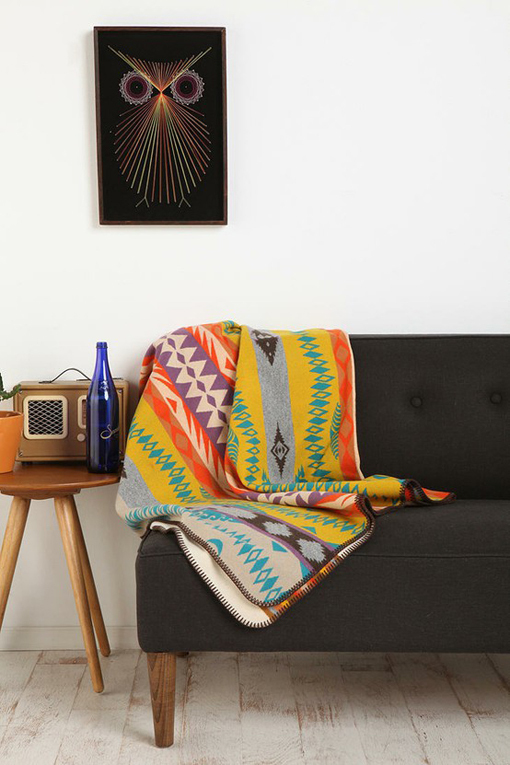 I love the couch, the owl, the radio, and I am especially loving this Pendleton blanket exclusively for Urban Outfitters. p.s. other Pendleton favorites here.